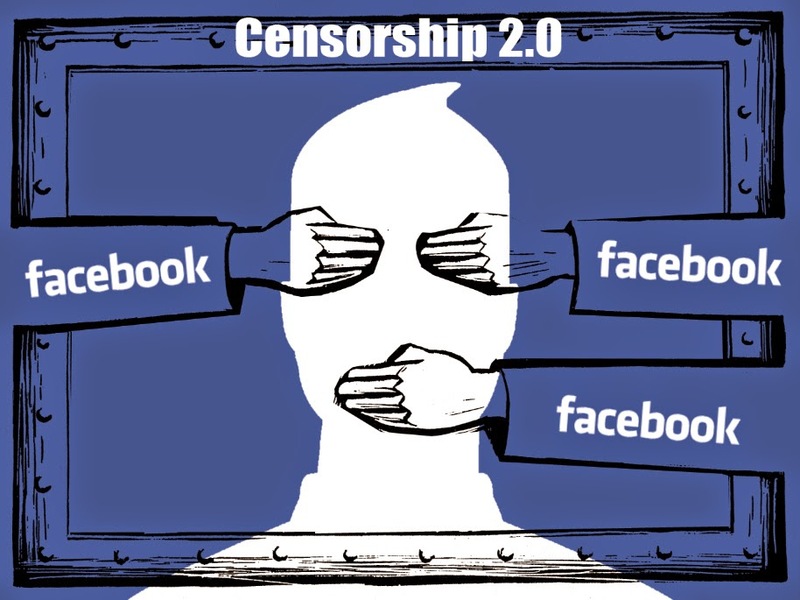 LocalOrg: Beware: Facebook's "Soft Censorship"
September 5, 2014 (Tony Cartalucci - LocalOrg) - The Land Destroyer Report maintained a Facebook page under the name Anthony Cartalucci. Since 2009 it was used to express my personal thoughts regarding the news of the day, as well as share relevant links with followers. Today, Facebook, without warning or opportunity to appeal, decided that the Facebook account must be changed over to a "page." By doing so, all those following my account no longer would receive updates, because of Facebook's "news feed" filters. The premise behind news feed filters is that people have too many "friends" and are following too many accounts, so they can't possibly manage all the content themselves. Therefore, Facebook will do it for them. We already know about the Facebook "experiment" where they intentionally manipulated the news feed of hundreds of thousands of Facebook users without their consent. We show, via a massive (N = 689,003) experiment on Facebook, that emotional states can be transferred to others via emotional contagion, leading people to experience the same emotions without their awareness. We provide experimental evidence that emotional contagion occurs without direct interaction between people (exposure to a friend expressing an emotion is sufficient), and in the complete absence of nonverbal cues.Not only are the findings troubling - illustrating that Facebook possesses the ability to influence the emotions of its users unwittingly through careful manipulation of their news feeds - but the invasive, unethical methods by which Facebook conducted the experiment are troubling as well. Those involuntarily forced to switch from standard accounts over to "pages" will notice the "boost" feature below each post. This is where you are required to pay Facebook money to ensure people who voluntarily followed you to receive content from you, actually receive it. Obviously, this confers a major advantage to well-funded start-ups, established media outlets, and large, corporate-driven propaganda machines. For the independent or freelance journalist, analyst, or activist, Facebook has gone from an open platform to a cage of soft censorship. Image: Taken from a paper outlining Facebook's experiment where over half a million users were unwittingly manipulated via their news feed. Clearly Facebook possesses the ability to manipulate users, not only with what they see and don't see, but how they perceive the world around them - a power they have now put up for sale, benefiting to no one's surprise the very special interests that have worked with Facebook to reign in the Internet's liberating power. Special interests will have no trouble reaching the maximum amount of people following their accounts on Facebook. Those opposed to these special interests, generally average citizens with limited resources who want to use the Internet to magnify their voice, will not be able to compete in this newly rigged system where a handful of their thousands of followers are ever "allowed" by Facebook to view content they voluntarily elected to see. Facebook takes freedom from its users, considering them incapable of determining for themselves who to follow and what to read, as well as censors unique, alternative perspectives operating on the shores of corporate-financier cash flow and the mass media that floats upon it. It is a spectacular achievement in the field of censorship - with special interests never having to directly block, silence, or imprison dissidents, but rather simply rig the system so they cannot be heard. It is the birth of soft censorship. First, people must realize that now they may not be getting all the news and information they have subscribed to when using Facebook. They should investigate other services out there that do not filter feeds like RSS and Twitter. Also, people must realize that Facebook, Google, and other IT monopolies are literally controlling what they see - a modern day allegory of the cave, a Matrix-style virtual world where the perception of reality is defined by a handful of special interests without anyone really even being conscious of it - just as Facebook's experiment proved. It is essential that people become aware of this, disconnect or distance themselves from it, and find alternative ways to communicate. Facebook's prominence as a means of communication should be shifted to the periphery by users genuinely interested in news and receiving the information they have freely chosen to receive, while other, more dependable and transparent services take center stage. And just like when other overbearing, manipulative, and invasive social media services began overstepping their bounds and working against the best interests of users, Facebook has opened the door to alternatives that respond to what users want, rather than dictating to them how they will interact. MySpace, Hi5, and others have come and gone because of overbearing terms of services and for failing to meet the needs of users - Facebook should fare no differently. Finally, telecommunications and the Internet in particular are still entirely too centralized and in the grip of large monopolies to be truly used in best interests of the majority. 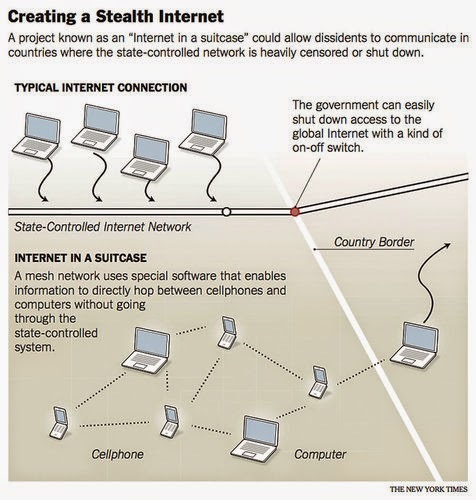 Telecommunications and information technology need to be decentralized at the local level, with people educating themselves in a wide variety of open source alternatives and ways of protecting infrastructure and the freedom it has granted us in balancing the equation between the people and corporate-financier special interests that seek to dominate them. Follow LandDestroyer on Twitter where currently feeds are not manipulated or censored @LandDestroyer or LocalOrg at @LocalOrgInfo.